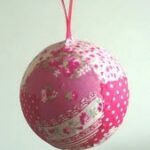 Hi my name is Anjie, over from PomPom Emporium) doing a guest blog exchange with Maggy. Last week I wanted to make some pom poms from fabric, in particular try out some purple organza I had. 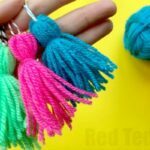 I have noticed fabric pom poms seem to be a popular decoration at weddings at the moment, I get a lot of hits on my website from search engines looking for fabric pom poms for this purpose. To start with I tore the organza into long strips (the width of the fabric) of about 1.5cm wide, tearing makes the fabric nice and ‘hairy’. 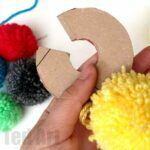 From the strips I made my pom pom in the traditional way, winding the fabric round and around two cardboard discs. The finished pom pom looked like an Allium flower, it just needed a stem. Wooden skewers from my kitchen fitted the bill, just the right size, a quick coat of green acrylic paint and I had a stem. I was very pleased with the result so I made two more. White pom poms given the same treatment might look like dandelion seed heads. Aren’t they simply GORGEOUS? I love the so simple idea of painting the stems by holding them in place with blue tack. I tried these with “normal” fabric and it doesn’t work, as it is too thick! 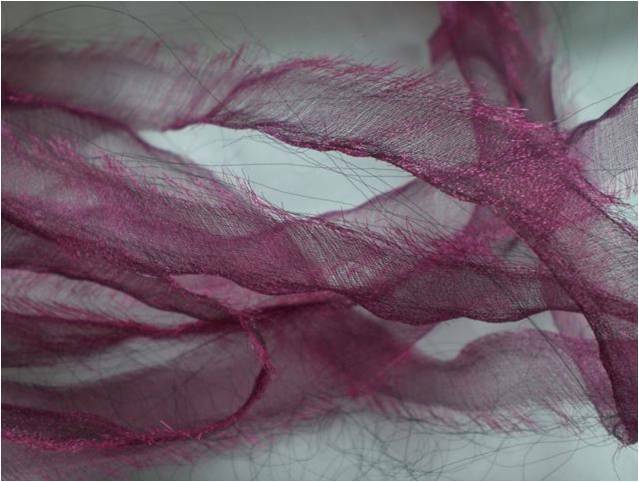 So it really has to be organza – especially for that whispy look. Not having any organza and wanting to give everything a go, that I post, I did it with some tissue paper: Not as amazing, but still pretty. Thank you Anji for your FABULOUS post! 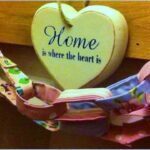 Please DO pop over to Anjie’s as a “thank you” and explore the other wonderful things she makes! 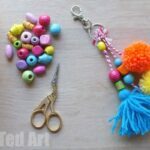 Enjoy your pom pom making!!! How cute! What a great idea! I’ll definitely have to give it a try! 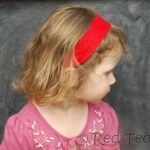 Thanks for linking to Poppies at Play! Have a wonderful summer! Love using the organza! So pretty! Your turned out so pretty! What a great idea and so simple. Love it. Love these with the organza! So pretty!!! That is too cute! It looks like something I might could make and I’m not crafty. LOL! Thanks for linking up! I featured your idea on my blog today! Come grab a featured button! How fabulous! Thank you! Have added your featured badge! Awesome! And thanks for the reminder! 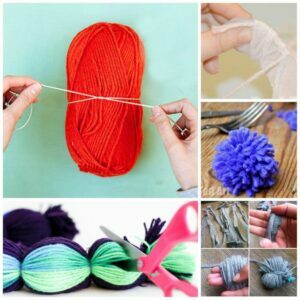 I used to make yarn pom poms this same way with the CDs but never thought of the fabric – uber cool! I like your blog and I’m now following you too! I’ll be back soon to see your next clever idea! Very pretty, it immediately caught my eye…and so simple to make too. wow, I love them!! so pretty!! 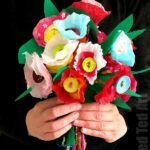 I made some of these a while back when I first saw this tutorial on your blog. 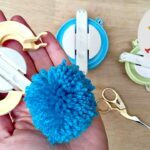 I can confirm they are super-easy and highly effective – although I wound too much fabric and mide where a bit too ‘thick’!! 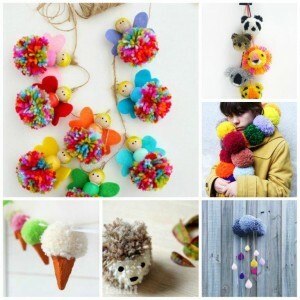 Strung together, these would make a lovely garland! Thanks for linking to Creative Juice Thursday…Hope to see more of your ideas this week!